While it's true that every four years, everybody loves soccer, it's also true that every four years, South Africa doesn't get any easier to get to. 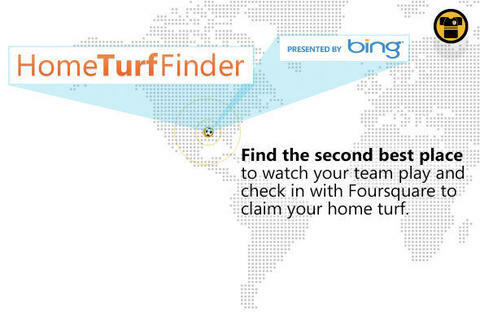 The solution: the Bing Home Turf Finder map app, Thrillist-populated with Chicago bars as dedicated to following World Cup action as you are, and loaded with enough flatscreens that you'll never miss a single moment of hot Ronaldinho action, unless by some unpardonable sin he's left off the team, but don't worry, that could never happen. Not only does the map app list venue locations with country affiliations, it also leverages the Foursquare API to display current check-ins and tips. To get the skinny on all your local World Cup headquarters (headquarterses? headquarteri? ), just go to hometurffinder.com. It couldn't be any easier to get to.